Talent attraction and workforce development has continued to be a top priority at the Columbus Area Chamber of Commerce this year. The purpose of the Drive for Five is to provide skilled employees to our supporting partners, filling the more than 600 available jobs. We do this by recruiting skilled talent; providing educational programs to students; and offering training opportunities to our current employees, making them more effective and satisfied in their roles. Of course, all that work only happens with the collaboration of lots of partners.  Speaking of partners, here is the list of all the businesses and organizations that contribute financially to this work: Columbus Public Schools; Lakeview Community Schools; Behlen Mfg. Co.; BD Medical Systems; BD Pharmaceutical Systems; Cargill Meat Solutions; Cargill Protein; Loup Power District; Pillen Family Farms; Platte County Board of Supervisors; ADM; City of Columbus; Columbus Community Hospital; Pinnacle Bank; Preferred Sands of Genoa; ARL Credit Services; Associated Staffing; Berkshire Hathaway Real Estate; Black Hills Energy; CAMACO; Central Confinement Service; Columbus Hydraulics; Columbus United Federal Credit Union; Cornhusker Public Power District; Don and Kathy Dreesen; Duo-Lift Manufacturing Company/Busch Equipment; FLEXcon Company; MIBA Industrial Bearings; Samson, LLC/Ramada Columbus; and Valmont. To learn how you can become a supporter of the Drive for Five, contact Kara at drive45@megavision.com. This is critical work, to be sure, and the Chamber is proud to say our business community, our schools, and our community as a whole are truly leading the way for Nebraska.